Ângela Ferreira was born in Maputo, Mozambique, in 1958. In 1973 she moved to Lisbon, where she stayed for two years, living through the Carnation Revolution of 25 April 1974. In 1975 she settled in Cape Town, South Africa, where she was a sculpture student at Michaelis School of Fine Arts, obtaining a Master in Fine Arts degree in 1983. She lectured in the South African cities of Cape Town and Stellenbosch until the early 1990s, when she made her home in Lisbon. 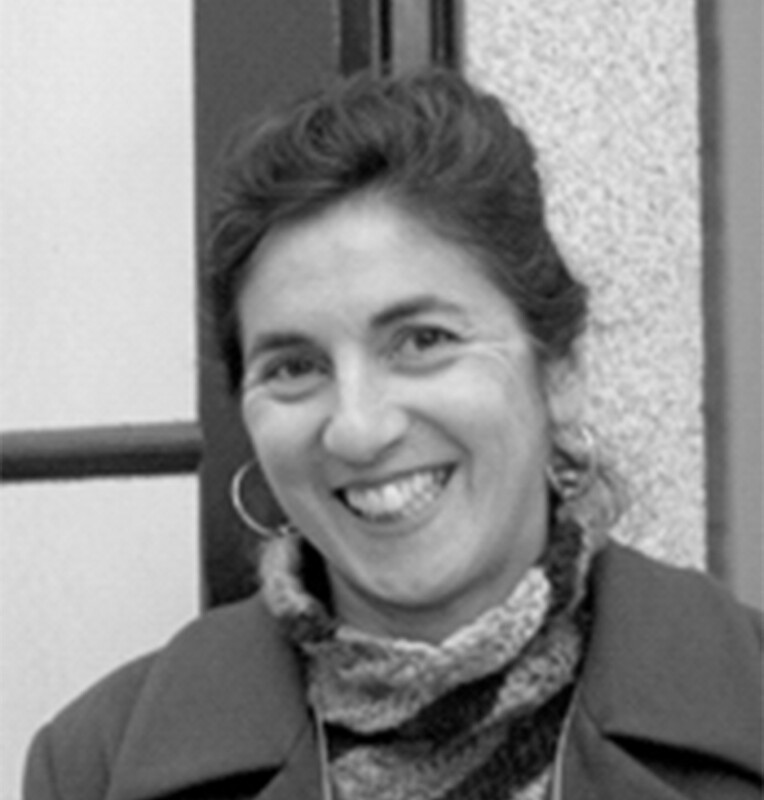 She has been a teacher at the School of Fine Arts of the University of Lisbon since 2003. Ferreira’s work has a powerful ideological dimension, resulting from the artist’s thorough analysis and reflection of the effects that colonialism and post-colonialism have had on contemporary society. Through frequent use of architectural elements and structures, her work produces ambiguous formal and spatial relationships, and is therefore located in a liminal area between Russian Constructivist ideologies (due to the correlation between abstract, geometric shapes and political ideas) and the re-appropriation of significant episodes of her own personal, social and local experience. Ferreira’s sculptural practice is the starting point leading to installations which combine other, non sculptural media, such as videos, drawings, photographs and written texts, to make each piece more poignant and meaningful. Since her first solo exhibition in 1990, she has been regularly featured in solo and group shows both in Portugal and abroad, like “Messy Colonialism, Wild Decolonization”, a solo exhibit staged in Zona MACO SUR gallery in Mexico City (2015). In 2007 Ângela Ferreira represented Portugal at the 52nd Venice Biennale, as well as participated in the 28th São Paulo Biennale in 2008. Based on the same principles as her entire oeuvre, her public art includes Sesriem – O poço das seis correntes [Sesriem – The six-strap well], built in 2008 for the 8th Santo Tirso International Symposium of Contemporary Sculpture, as well as Rega [Irrigation], made for the Urban Park of Vila Nova da Barquinha (Almourol, 2012), and Entrer Dans la Mine [Going into the Mine], designed in 2013 for the 3rd Lubumbashi Biennale, held in the Democratic Republic of the Congo.